THAT was the message I received when I expressed regret that I couldn’t attend the launch of the book, Memories Of Our Mothers. The sender understood how precious every moment was that I spent with my ailing mother, hours before my departure for London. The sender was Tuanku Raja Zarith Sofiah Sultan Idris Shah, patron as well as one of the contributors in the 176-page book. Indeed she was also the initiator of the project which brought together 29 daughters who captured the essence of their mothers between the pages of the coffee table book, complete with black and white pictures of yesteryear and heart-wrenching and warm anecdotes and poems. 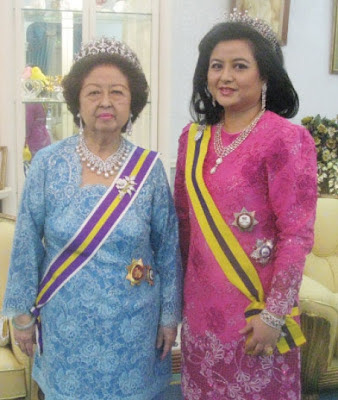 Raja Zarith, consort of the Sultan of Johor, lost her mother, Raja Muzwin Raja Ariff Shah, in October last year and, prior to and after this sad event in her life, we communicated a lot about our mothers, about how we cared for them, and about how we wanted to capture these memories to be treasured forever. As a frequently absent daughter, I had documented memories of my mother in my blog as well as in short video clips, which I watched regularly through tear-stained eyes back in London. 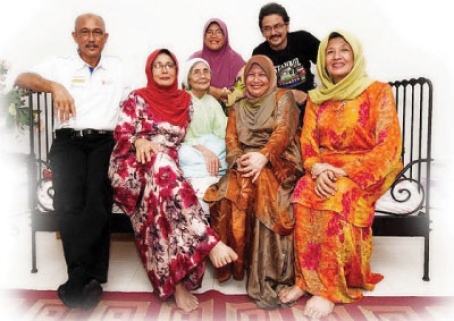 “After sharing the pain and anguish with other friends I suggested to Datin Halimah Mohd Said that perhaps we could all write about our own mothers,” said Raja Zarith who wrote that her mother wove a thread of love around them “so strong that it not only bound us to each other but also to our own families”. With educationist and now citizen journalist Halimah at the helm as the project coordinator, Memories Of Our Mothers took shape. Published by MPH, it was launched last week at PJ Hilton in Petaling Jaya. Nong Othman, who not only sewed and cooked but also played the accordion, piano and drums as as well as danced the tango! There were beautiful and touching accounts from Tan Sri Zarinah Anwar and her sister Zainah, from Rose Ismail, chairman of Salt Media Group, and the Ali sisters — Aishah, Saleha and Datuk Zainun — and many more. The result must have been therapeutic and a catharsis for those involved, and indeed, for those reading the book. I read Memories Of Our Mothers as we cruised over 10,000m in the sky, frequently turning away to the clouds to hide my tears. By the time we reached Dubai, I saw my mother in each and every personality portrayed in the book. True, my mother never stepped foot in a classroom and could only spell Y-U-N, her name. Her English vocabulary consists of only Yes, No and Alright, but she managed three holidays in London. Now our pillar of strength is reduced to bones and skin but she is there in every chapter of the book. 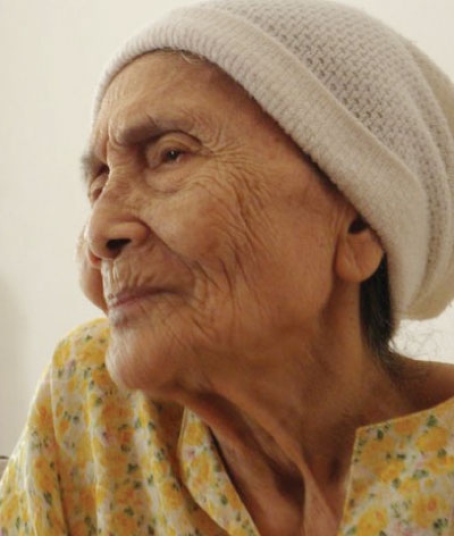 From the north, Mak is the only surviving child of Hajjah Wan Mohd Saman, a strict disciplinarian who suffered no fools and showed very little love to all around her. I often wondered where Mak got her abundance of love that she showered on her siblings from another mother. To this day, her siblings remain at her bedside, holding her hand and reading her prayers. 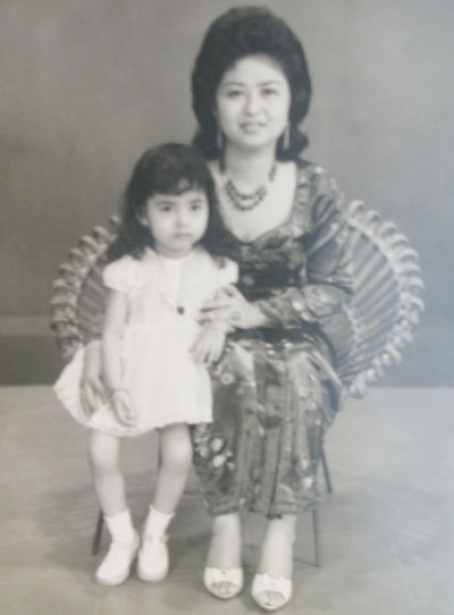 But it was Tok, the perfectionist, who taught her the art of sewing clothes, supplementing the family income by making baju raya and selling cakes to make ends meet. Looking after Tok during her final years, Mak showed admirable loyalty and strength and love. Each night she would tie her mother’s hands, while profusely apologising, “Minta ampun, Mak, Minta ampun, Mak!” to prevent her from scratching her bedsores. When Tok passed away, and with Pak gone, Mak’s energy ebbed to a level we never knew possible. She reluctantly left the big house that Pak built for her in Alor Setar, to live with her children in Bangi where she was doted on by her children, sons-in-law and grandchildren. She is, to this day, showered with hugs and kisses every time they walk in and out of the house. But in her twilight years, she only yearned to be in one place — the house that Pak built for her. Being ferried and flown there lessened her pangs of missing the house that used to be filled with bantering and laughter. And she misses Pak, the dashing clerk from the land office whom she married, who transported her from the village where she grew up, to live in town. But on her last trip there, she couldn't even recognise the place or the flower garden she used to tend to. Sitting around Mak after reading her yassin, her siblings recalled her kindness and generosity - and recounted how Mak saved a young British soldier from the Japanese, how she held a tight rein around her loved ones and how she endured hardship but still had enough to go around. Spending days and nights watching her, helping to bathe and feed her, I sometimes felt the urge to yank out the cancer raging in her. But never, not once, did I hear her moan with pain. The pain was only etched on her face as she clenched her teeth, until it ebbed. One night, I sat up, watching her motionless body, and I had the urge to put a finger to her nose to see if she was still breathing. The last time I did this was when I was 5. On this trip, Mak didn’t recognise me or any of her children. She mentioned our names but she couldn't tell who we were, unlike my trip last year, made possible by Raja Zarith who wanted me to spend Hari Raya with my mother. This act of kindness afforded me many wonderful memories of Mak: Witty and fun, jovial and sporting to the core. Asking for her forgiveness and blessings for every drop of milk that she fed me, I wrenched myself away, and this was made possible only by her sweet smile and the caress of her soft hand on my face. And I took with me the memories and the sweet fragrance of lavender powder on her skin, which will forever be in my heart. PETALING JAYA: Consort of the Sultan of Johor, Raja Zarith Sofiah Sultan Idris Shah, launched a book entitled Memories of Our Mothers recently. Raja Zarith decided to write the book with 28 other women after her own mother, Raja Muzwin Raja Ariff Shah passed away last year. The other writers comprised professionals, homemakers, activists and retirees including Datin Mariam Kadir, Tan Sri Zarinah Anwar, Datuk Zainun Ali and Datin Halimah Mohd Said. The launching ceremony was held at Hilton PJ, attended by prominent guests who included Raja Nahzatul Shima Sultan Idris Shah, Tun Dr Mahathir Mohamad, Tun Dr Siti Hasmah Mohd Ali, Tun Dr Ahmad Sarji, Tun Mohamed Dzaiddin Abdullah, MPH Group of Companies chief executive officer Ng Tieh Chuan and members of the royal family. Published by MPH Group Publishing, Memories Of Our Mothers is available at all major bookstores. To lose someone we love deeply is a traumatic experience. We can never be fully prepared for the sadness and grief that follows. Sometimes the void lingers forever and we learn to cope in different ways. While the loss of a parent is devastating, that of a mother is heart-wrenching. In losing her mother, a woman loses the most important influence in her life. She loses the provider and nourisher—of love and understanding, of patience and equanimity, of family bonding and togetherness, of all the nurturing values that imbue her being. The grief of losing her mother is very hard for a woman to bear. Memories of Our Mothers is a collection of poignant writings by a group of women on their thoughts and feelings at the loss of their mothers. By chronicling their experiences, they hope to share them with other women who are undergoing and will undergo the same journey. Mari kita bantu rakyat Johor ini yang masih hidup dalam kesempitan. InsyaAllah. Mohon dihebahkan ke seluruh media massa untuk kita bantu sedara kita ini..